Having a criminal conviction on your record can have lasting consequences. Not all convictions are for serious offences, yet a conviction can still end up being a nuisance for years into the future. For example, you might have a conviction entered against you for something as simple as negligent driving or possessing an extremely small amount of drugs. You will need to declare this conviction in future instances in your life, even though they may not be considered serious criminal offences. Furthermore, not declaring that conviction, however minor, can in itself suggest you are of dishonest character. It is important to consider the wider implications of a conviction in deciding whether or not you need to go to court to defend a charge, even if the consequences if you are found guilty are not severe. 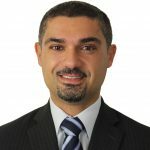 This also applies to deciding whether to see a specialised criminal lawyer for advice on seeking a section 10 dismissal or conditional release order, which allows you to plead guilty to a criminal offence but still avoid a criminal conviction. Can you avoid a conviction? In many cases the answer to this question is: yes, by getting a section 10 dismissal or conditional release order. An experienced criminal lawyer can either represent you at a sentence hearing, or appeal a sentence imposed in the local court, to seek a non conviction order which dismisses a charge without conviction. A non conviction order may come with a good behaviour bond for up to 2 years, but the important thing is that you remain conviction-free. 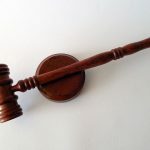 The court might not record a conviction if the offence is trivial in nature, you have a clean criminal record, you are of good character, and you are shown to be unlikely to commit the offence again. However, it’s important to know that an offence does not have to be trivial or minor to achieve a non conviction order. In fact, non conviction orders have been awarded in relatively serious cases such as supplying 20 ecstacy tablets. There are a number of ways that a criminal conviction can impact you for years after your matter is dealt with, so if you are thinking about pleading guilty its still usually worth talking to a criminal lawyer about your chances of avoiding a conviction. 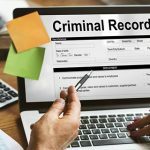 If you are applying for new employment, you may be required to disclose your conviction record. The discovery of a conviction can impact upon your chances of getting the job you have applied for. If you are applying for a job with the government, or in the health, law or childcare industries, a police check will almost always be required. If you do have a conviction, it’s a good idea to check at the interview stage of your employment if a check is being conducted, and disclose any conviction to your prospective employer at the interview. This can provide you with an opportunity to explain your behaviour, or the reasons for your conviction. When travelling overseas, many countries require you to disclose your conviction record at customs before you are allowed to enter. In addition, the United States and the United Kingdom have a good character requirement for people applying for visas. As a part of the visa process, you will need to declare any criminal convictions. This does not mean that automatically you will be denied entry into these countries. However the conviction, the seriousness or nature of the crime, and when it occurred, will be considered by the relevant authorities in determining whether or not to allow you entry or to grant you a working visa. If you are charged again with any type of offence, your previous conviction record will be considered by the court. Having a blemished record may affect your chances of a non conviction order for any future charges. In addition, if the offence is the same or similar in nature to your convicted offence, it may aggravate the seriousness of the penalty you receive for the later offence. 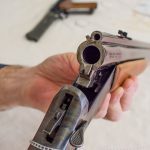 One of the requirements for a firearms licence is that you need to be a “fit and proper person”. When applying for a licence, your conviction will be considered. Depending on the nature and seriousness of the conviction and its timing, your licence application might be denied. 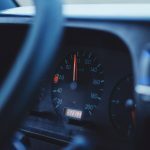 Your application is unlikely to be denied for a minor traffic offence, but it is likely going be denied for a more serious offence such as many assaults or drug offences. It is worth noting that if you do have a criminal conviction, it can be treated as a spent conviction after 10 years. A spent conviction is one that is removed from your criminal history after a decade. There are restrictions on spent convictions. For your conviction to qualify as a spent conviction, you must not have a subsequent conviction for any other offence, for example. If you have a spent conviction, you generally don’t need to disclose your conviction to an employer, when travelling, or in any other instances. However, the police may still have the conviction retained on their criminal record of you. Obtaining the right legal advice can tell you when a non conviction order or the non-recording of a conviction is possible, and obtaining the right representation, can maximise your chances of obtaining that order. 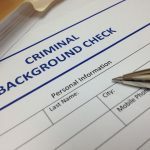 Ultimately a conviction can end up a disproportionate blemish on your otherwise good character, and it’s well worth trying to avoid having a conviction on your criminal record. What are the Penalties in Sydney for Street Racing?